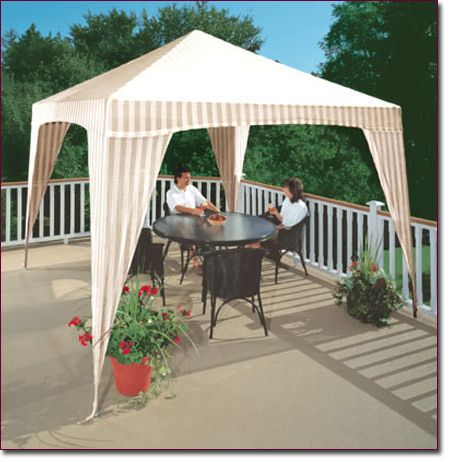 The SHADEMASTER™ uses an exclusive fabric designed to resist prolonged sun exposure and extreme weather conditions. This is important because, unlike umbrellas that are faded most of the time, the fabric of The Shademaster is exposed continually to the sun and wind. Most printed fabrics used for cushions or umbrellas will not resist this type of exposure and will fade very quickly.